Athletes MUST log scores for both 18.2 and 18.2A, even if time capped on 18.2. A score of 0 is still required. A score of 0 on 18.2A – Rx’d is still higher than all scores logged to 18.2A – Scaled. Also, a score of 0 for 18.2A – Scaled is still higher than not posting any score. *In the BTWB system, a “no score” places lower than a score of 0. 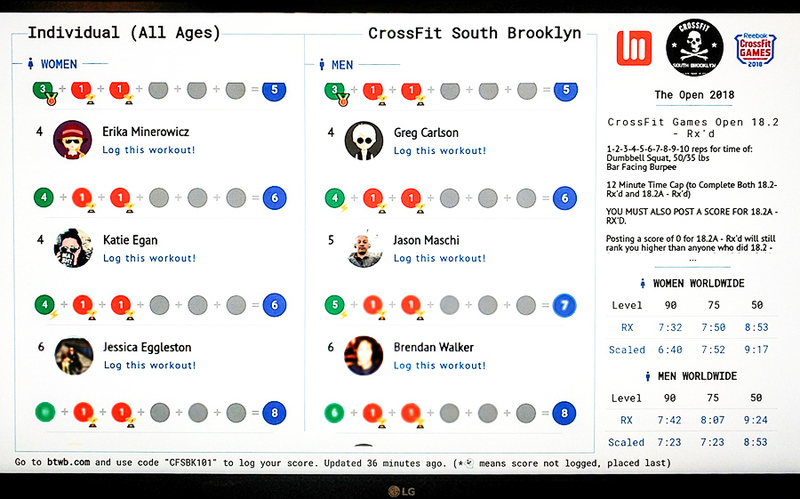 If you do not post your score for 18.2A, you will not be ranked properly. So get your members to post!